My Reiki Certification classes are comprehensive and class size is small to allow for individual attention as you learn at your own pace. Classes are a mix of academic and experiential. In-class practice in giving Reiki lets you begin to feel some of Reiki’s benefits right away. Each Reiki class leads to a certification in Reiki; and you’ll come away from each level of the Reiki training with knowledge and experience to help yourself, your friends and loved ones, and your pets too. Click here to learn more about my Reiki Certification Training Classes. 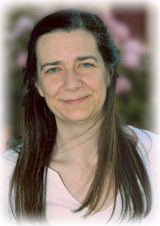 Reiki treatment sessions are tailored to your individual needs. Sessions address all of you– your body, mind, and spirit to promote deep relaxation and balance for your well-being. Click here for more about the benefits of Reiki Treatment Sessions. I’m a Certified Reiki Master Teacher in Northern Virginia and I’m honored to have the opportunity to offer you Reiki Certification training and Reiki treatment sessions for your well-being, and personal and spiritual growth.